The second largest of the Hawaiian islands, Maui is a popular destination for tourists of all ages. Maui offers a unique view of several other islands. From Maui, you can see Kaho’olawe, Molokai, Lanai, and the Big Island of Hawaii! With 10000+ saves on Pinterest, my “Best things to do on the Big Island” pin has been my most popular on Pinterest so far. 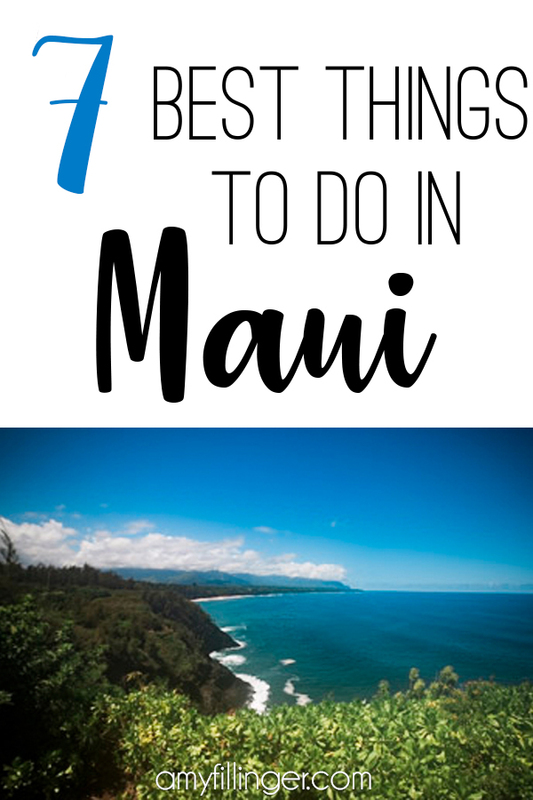 Of course, I had to follow up with the best things to do in Maui. If you’re researching your Maui vacation, you might enjoy this post about the 10 best resorts on Maui. Feeling a little overwhelmed in the planning process? Make sure to contact me or check out this post about why to work with a travel agent in 2019. I can help you plan an epic vacation from start to finish and the best part of it is, it won’t cost you anything extra! Now, let’s get to the 7 best things to do on Maui. Also known as the “Valley Isle” Maui is one of the most beautiful places that you can visit. From some of the best snorkeling to mountain sunrises and beautiful waterfalls, there is so much to explore this amazing island. 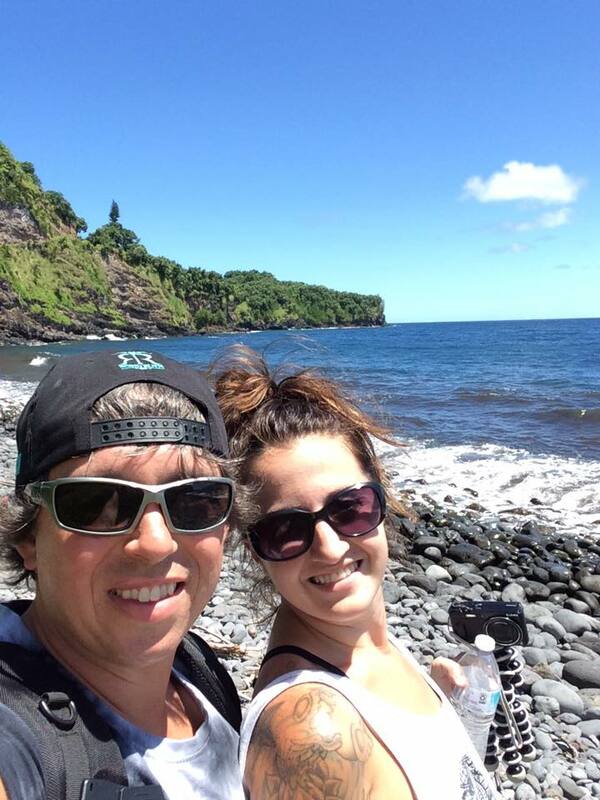 My husband and I recently spent some time island hopping and stayed on Maui for a few days. These 7 things were just a few of our favorites. Related: Limited time on Maui? 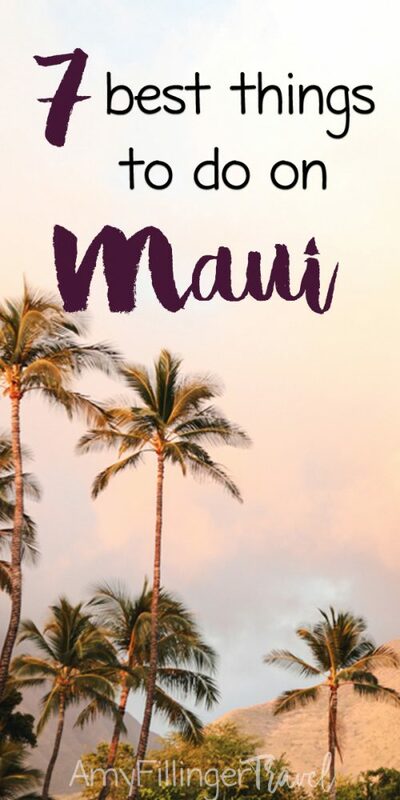 Here’s a 4 day Maui Itinerary. 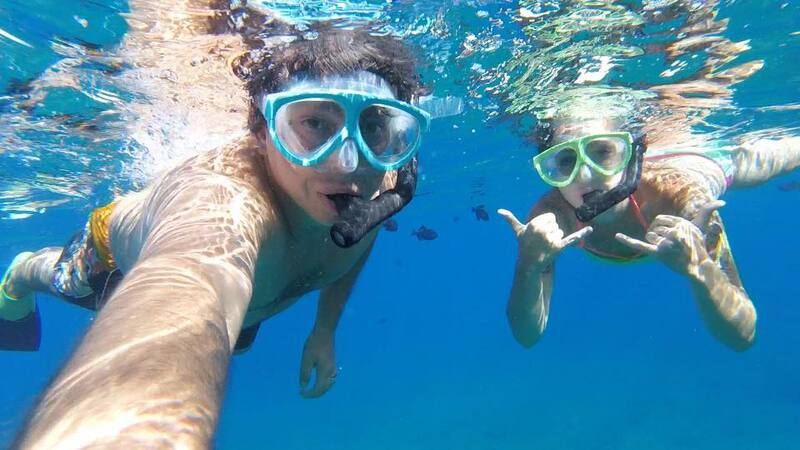 We aren’t usually “tour people” but you can’t go to Molokini Crater without one. We took the Four Winds II snorkeling tour and it was fantastic. The tour is half a day, either morning or afternoon. Breakfast and lunch are included in the AM (when we went) and drinks are also included. The meals were pretty good, and they had included gluten-free and vegetarian options. They make ginger ale (with real ginger) if you’re prone to motion sickness like I am. It was really good and it helped. The crew was very helpful and very fun. It’s about an hour to Molokini from Maalaea Harbor, and the trip was very enjoyable. The Captain had lots of fun information on the way to the crater. 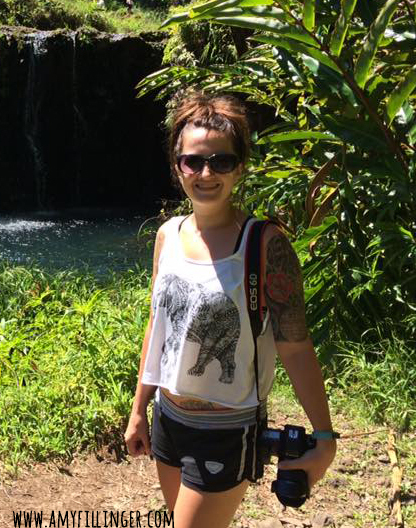 We knew most of it already, but if you’re brand new to Maui it would be very informative. The Captain also stopped on the way back hoping to spot sea turtles, but unfortunately, we didn’t see any. The best part of the tour was, of course, snorkeling the crater. You don’t have to have any swimming experience. In fact, you don’t have to swim at all. You can choose to use flotation devices, and the boat even has a glass bottom if you’d prefer to stay on it. Some of the people on the tour saw a shark at the crater! I wish we would have seen it. Snorkeling gear is included, but you can bring your own or upgrade to Snuba for $60. When you hear about the best things to do in Maui, the road to Hana is always on the list. To be honest, we found the Road to Hana disappointing. If you live in a city and don’t leave very often, the road to Hana might be really interesting. If you live in a rural area, you might not find it as special as you expected. Don’t get me wrong, it’s very pretty, but it wasn’t what we expected. Also, the stops are usually very, very crowded. Go as early as possible to avoid crowds. 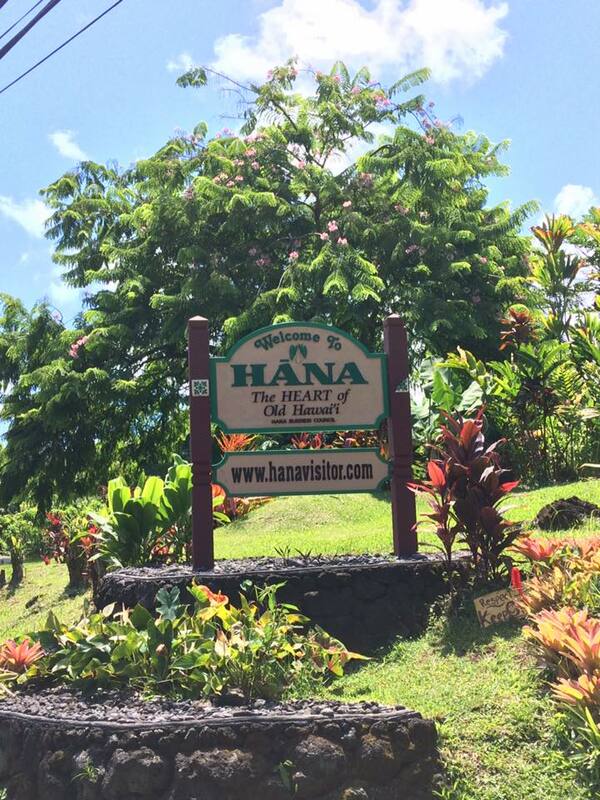 Keep reading to find out what we enjoyed most about the Road to Hana! This should go without saying, but if you are prone to motion sickness, the road to Hana might not be for you. Remember to take some medicine if you need it, the road is very windy! To get the most out of the road to Hana, I recommend following a guidebook or downloading an app. I’m not saying that you shouldn’t explore the road to Hana, but expect crowds, tourists who aren’t familiar with the roads, and possibly road work. This is one of the things we enjoyed the most about the road to Hana. The other side of the road to Hana, or looping around the “back way.” The stops were much less crowded, and the sights were just as beautiful. Our favorite waterfall on the trip was just past Hana. It was a large waterfall, and we were the only ones there! There are a few tricky spots on the “other” road to Hana, but it’s not much worse than the road to Hana. We didn’t see many cars on the road, but there were many beautiful sights all along the way. Make sure to get gas if you need it because it’s a very long way to another gas station! Just one of the cool spots we found on the other side of the road to Hana. Not a soul in sight! A visit to Maui wouldn’t be complete without a trip to Haleakala to view the sunrise. You will need a reservation, and parking is limited. Don’t forget to bring a jacket! It’s much cooler up a mountain, even in Hawaii. Visit the National Parks Service for more information. I can’t talk about Maui without mentioning a big. Big Beach is continually listed as the best beach on Maui. It’s a beautiful, large (obviously!) beach. You might also want to check out Little Beach, which is just north of Big Beach. On the western side of Maui, Lahaina is a must-see. There are lots of restaurants and shops, and it’s fun to just walk around. You can also check out the famous Banyan tree, which is a great Instagram photo op! On our last day in Maui, we visited Paia town, which is not far from the airport in Kahului. Paia is a cute little town with lots of shops. It was a little bit difficult to find parking, but we loved visiting Paia and found it even more laid back than other parts of the island. 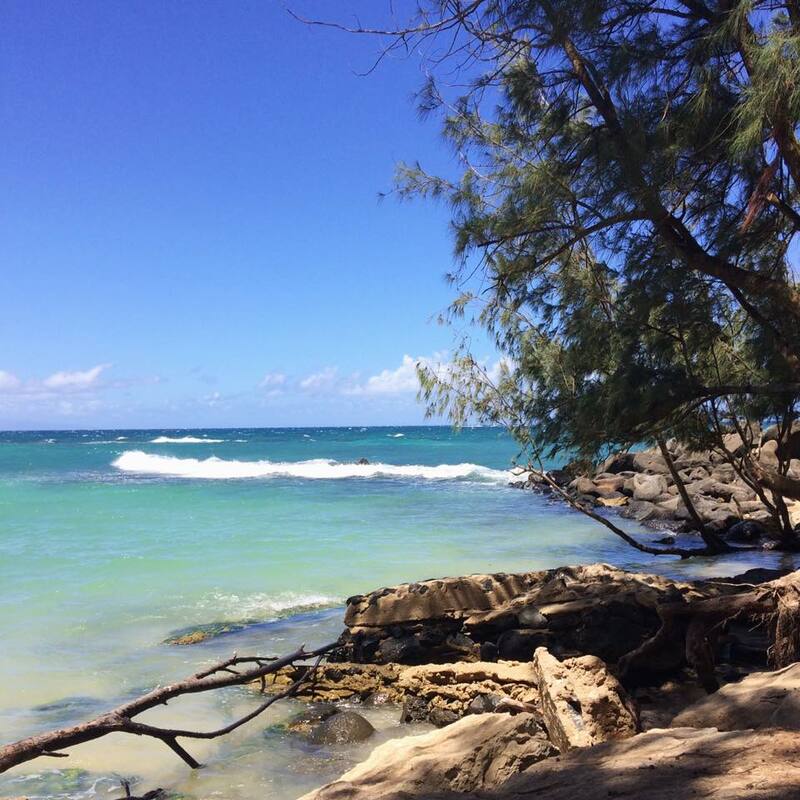 We also stumbled upon Baldwin Beach Park, which ended up being one of our favorite beaches on Maui! It seems to be a beach where lots of locals hang out, and it wasn’t overly crowded like some of the other beaches. Baldwin beach park was had amazingly clear water. I recently wrote a separate post about the 10 best resorts on Maui. Check it out to see my current recommendations.  This is the badge for completing a Maui Nui certification. Maui Nui encompasses Maui, Lanai, and Molokai (and Kaho’olawe, but you can’t go there!) Booking with an experienced travel specialist will help ensure that your Maui experience is tailored just for you! If you prefer to DIY your Maui adventure, you can get $55 toward your Airbnb stay using this link. 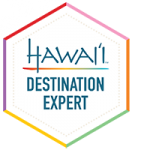 Curious about the benefits of booking your Maui vacation with a travel specialist? Check out my services page for more info. 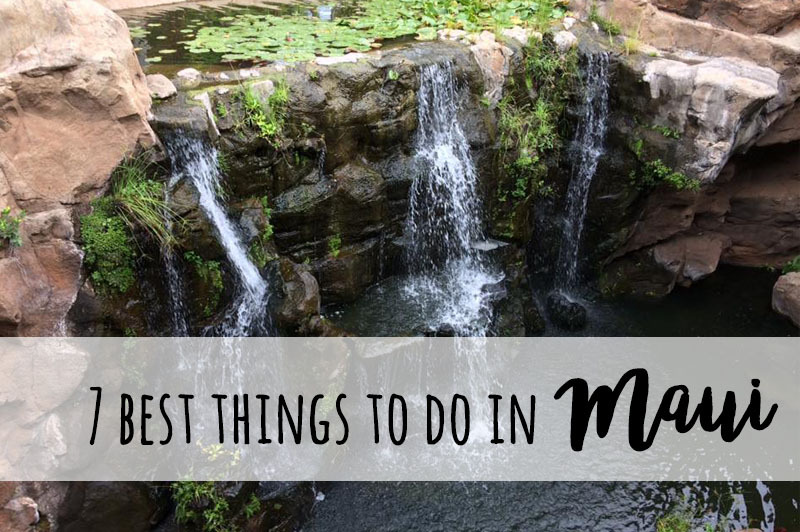 If you have your own tips for the best things to do in Maui, I’d love to hear about them in the comments. Make sure to share this with any friends who are interested in visiting the beautiful valley isle! Dreaming of Maui but not ready to book your vacation yet? Sign up for my newsletter for weekly tips, tricks, and travel deals.